When music is your trade it’s obvious that your hearing is an incredibly precious asset, but have you ever thought that the decks you’re spinning could be damaging the very ears you rely on? How many times have you finished a set and discovered your hearing is muffled? Wed 5th September @ 8pm West of Scotland DJ meet-up at Burnhill Bar, Rutherglen, Glasgow G73 1JE - all welcome. Supported by RS Sound & Light. A demo of FBT speakers, a member's rig and a short seminar 'How to Sell Yourself'. Sat 6th - Mon 8th October @11am BPM, NEC Birmingham. More info about the world's largest exhibition for DJs will be included in the September Infomail. DJ Hank is getting ready for BPM 2012 and he looks forward to meeting you there. 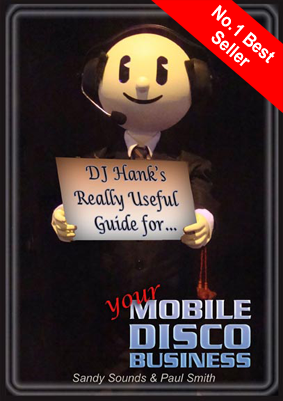 You can also read what DJ Hank gets up to in his diary; published exclusively in ProMobile magazine. "My wife says I never listen to her. At least I think that's what she said"